Sony announced in early October of 2016 that online features for Fat Princess: Piece of Cake would be discontinued on iOS, Android, and PlayStation Vita. The mobile versions were retired on December 1st, 2016 and the Vita version on January 1st, 2017. Those who had downloaded the game by these dates are be able to continue playing in offline mode but cannot re-download the game again from their purchase history. In-game purchases were stopped in early October alongside the announcement. The ability to receive a voucher for the PlayStation 3 title, Fat Princess, was also disabled by the dates above. While the game received generally positive ratings on all three platforms it had logged only 100 – 500,000 installs on Android with presumably far fewer active players. It also appears that developer, One Loop Games, has ceased operation; all founding members of the small team left in early 2015 after the game’s launch on Android and Vita. The combination of a dwindling user base and departed developer are most likely the cause for the game’s retirement. Online features for Fat Princess: Piece of Cake will be discontinued on January 1st, 2017 at 12:00am PDT. We have immediately disabled the ability to make new in-game purchases. Spend any earned or purchased gold for in-game items. Earn access to a voucher for Fat Princess for your PS3™ system for completing level 15. 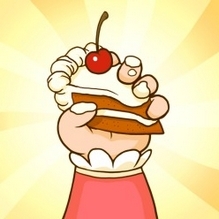 Fat Princess: Piece of Cake is completely free to play, however some in-game items such as power-ups and character upgrades can be acquired through in-game purchases.